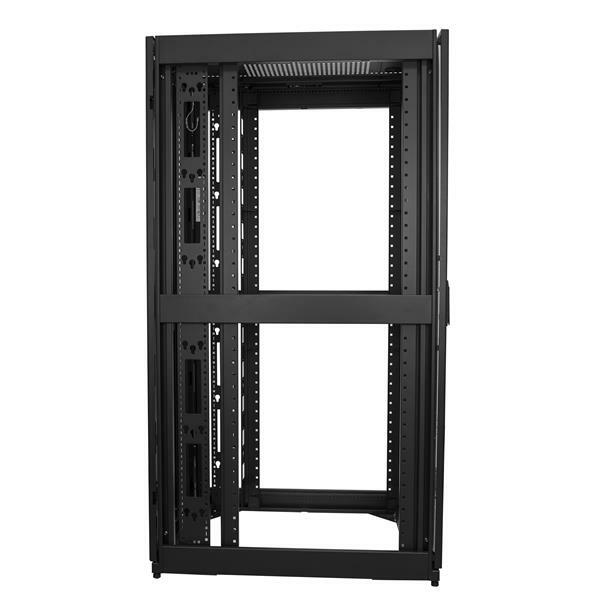 This 42U server rack cabinet provides security for storing standard 19" rack-mount equipment. The rack is compatible with EIA-310 compliant equipment and supports a weight capacity of 3315 lb. (1500 kg). 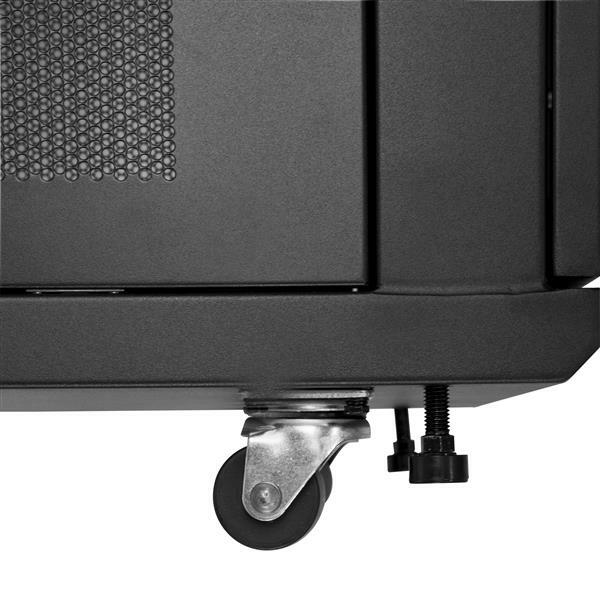 The mounting rails can be adjusted from 3 to 37 in. 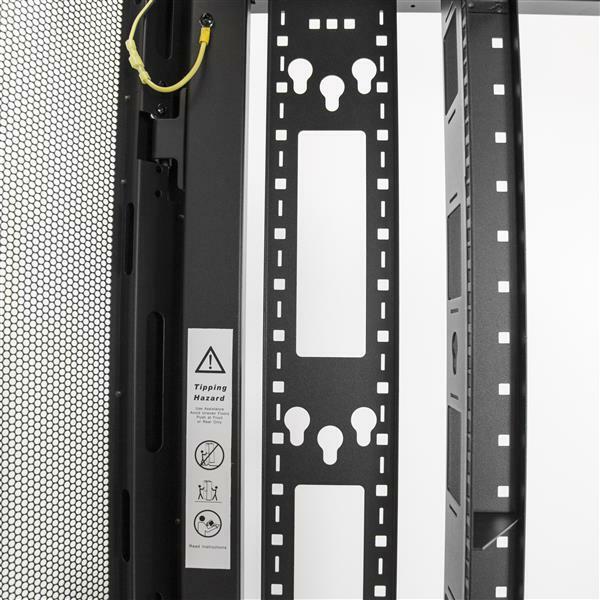 (76.2 mm - 939.8 mm) to support full-depth equipment installations and the extra width and depth provide space for additional cable and power management. 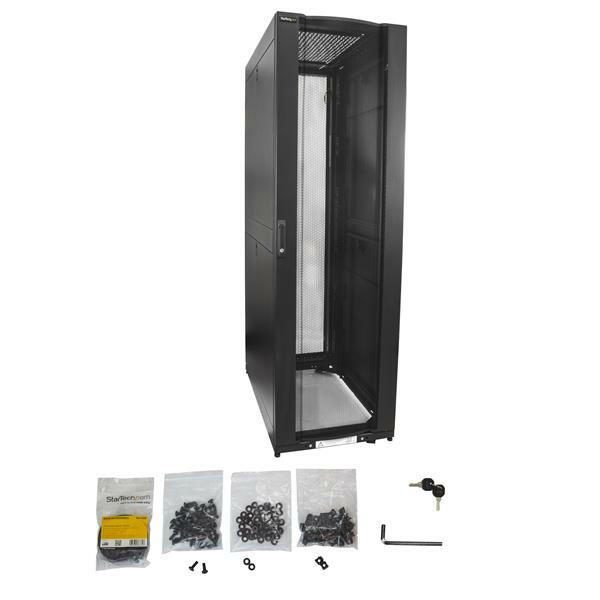 This rack features front and rear locking mesh doors to keep your equipment secure awhile increasing airflow to promote passive cooling. 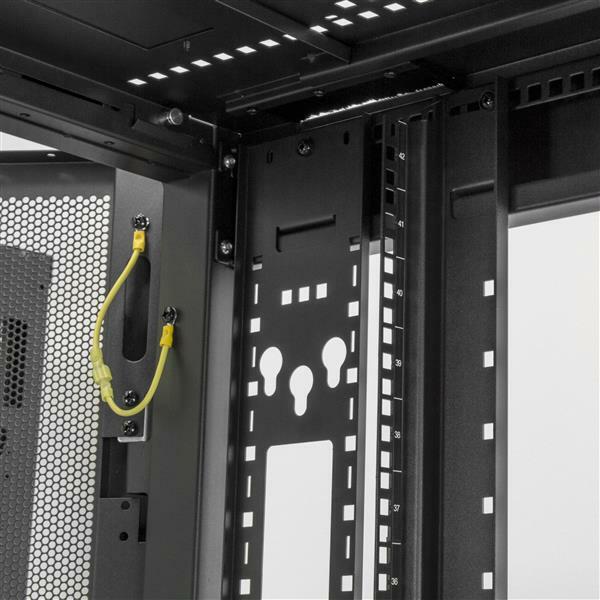 The removable side panels with independent quick-release locks provide access to your equipment easily while keeping it secure. 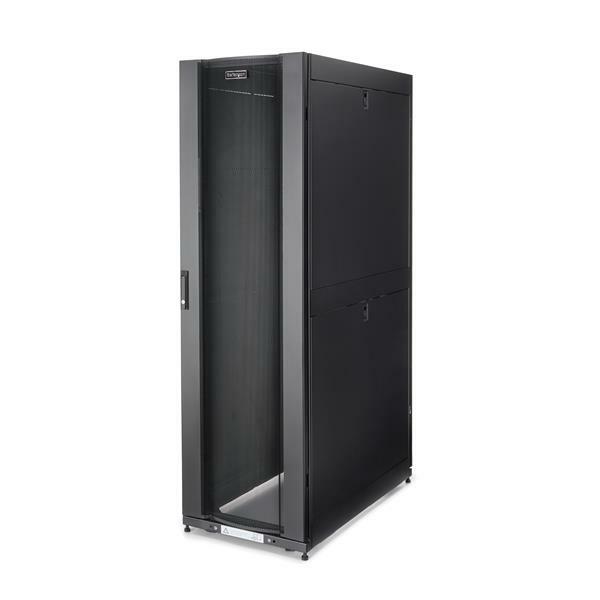 The portable server rack enclosure features casters, providing ease of mobility around your server space. 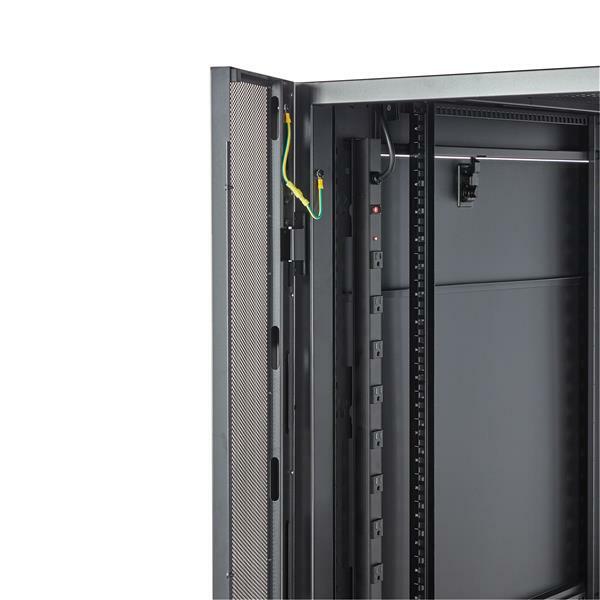 The width and height of the rack fit through standard doorways, giving you the freedom to wheel your server rack into different rooms as needed. 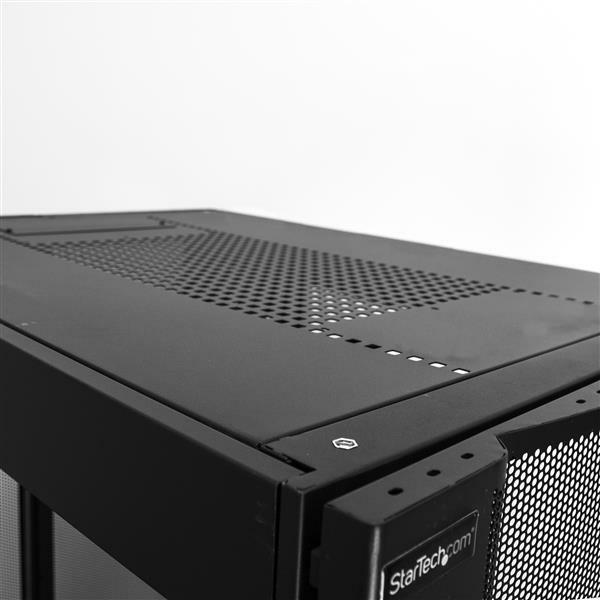 StarTech.com offers a wide selection of products that help you to optimize your server rack storage space. 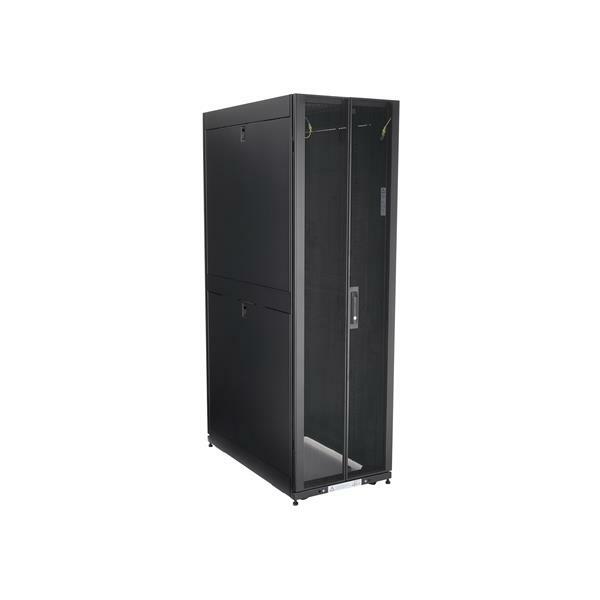 This mobile server rack cabinet is backed by a 5-year warranty and free lifetime North American based technical support.